Joe Abercrombie just unveiled the UK cover art for his forthcoming collection of short stories, Sharp Ends. The artwork is by Dave Senior and it was designed by Laura Brett. For more info about this title: Canada, USA, Europe. The Union may be full of bastards, but there’s only one who thinks he can save the day single-handed when the Gurkish come calling: the incomparable Colonel Sand dan Glokta. 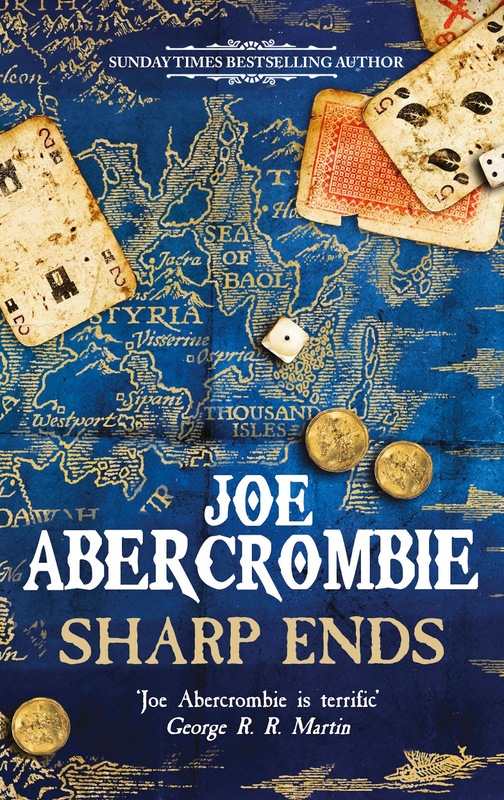 Sharp Ends combines previously published, award-winning short tales with exclusive new short stories. Violence explodes, treachery abounds, and the words are as deadly as the weapons in this rogue’s gallery of side-shows, back-stories, and sharp endings from the world of the First Law.